After the 42 or 41 year reign of Artaxerxes I, there were three Great Kings in just over six months. Artaxerxes I had only one legitimate son, Xerxes. He became king on his father's death as Xerxes II. Artaxerxes had however 17 illegitimate children, many of whom felt equally entitled. First Sogdianus (Secyndianus in Ctesias) murdered Xerxes and proclaimed himself king; he was murdered most horribly in turn by his half brother Ochus, who became king as Darius II. Darius was married to a daughter of Artaxerxes, Parysatis (his half sister). Having been rescued from death at her husband/brother's hand, she became his enthusiastic supporter, and was in return responsible for the torture and murder of several members of her family and others who offended her. 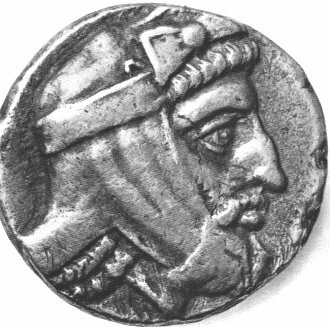 Darius II (425 - 404 BC). What happened? The sources (mostly Greek) tell us plenty about dealings between Greece and Persia, but only the barest hints about the rest of the empire. This doesn't of course mean that Greek affairs were specially important. 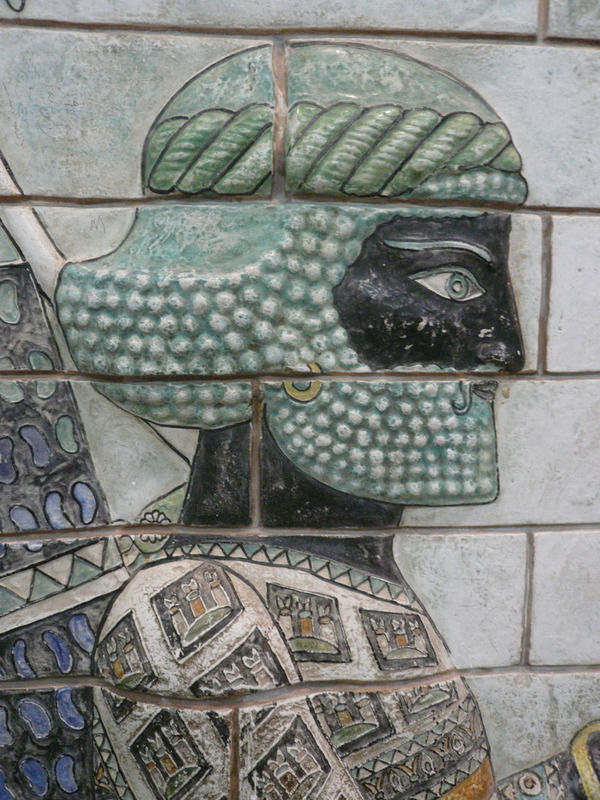 I am Darius, the Great King, king of kings, king of lands, king on this earth, the son of king Artaxerxes, the Achaemenid. King Darius proclaims: Artaxerxes my father first made this palace; then I finished this palace with the help of Ahura Mazda. Darius continued and refined the strategy used by his father Artaxerxes - promising gold to Sparta and Athens in turn to keep their mutual hostility alive. During almost all Darius' reign the Greek world was involved in the Peloponnesian War between Athens and Sparta and their allies (431 - 404 BC). The Athenians were afraid that their enemies would now attack them on land and by sea, and that their own allies would rebel and help. Whatever country or cities the king has, or the king's ancestors had, shall be the king's; and whatever came in to the Athenians from these cities, either money or any other thing, the king and the Spartans and their allies shall together prevent the Athenians from receiving. Most of Ionia was thus restored to the Persian empire. 412 - 408 BC Three rogues: Tissaphernes, Pharnabazus and Alcibiades. The two Persians were deadly rivals, more interested in getting one over on each other than looking after Persian interests. Alcibiades was an ambitious Athenian aristocrat. He'd planned the Sicilian expedition, expecting to win glory as a successful general. But he was implicated in a scandal and took off for Sparta before they could prosecute him. He offered the Spartans advice, which caused the failure of the expedition. But after another scandal in Sparta (something to do with the king's wife) he had to take off again. He's next found as advisor to Tissaphernes, persuading him not to get too close to the Spartans. He was hoping to get Persian gold for Athens - so he could return home as a hero. Tissaphernes said he wouldn't give anything to a democracy: so Alcibiades got his friends to stage a coup to overthrow the democratic regime and set up an oligarchy ("rule by the few"). The coup was successful, the democracy was overthrown, but Tissaphernes decided to give the money to Sparta. But the Spartans were never convinced that Tissaphernes was really on their side - in fact he was reluctant to do more than just give them the money, and didn't actually have any ships. 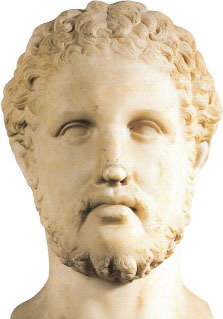 Meanwhile, Pharnabazus started giving money to Athens, and promised to arrange a meeting with the Great King himself. Athens started to score some victories as a result, and democracy was restored. 407 BC: But it wasn't the Great King who arrived: it was his son Cyrus, sent to sort out the two satraps. Cyrus was a great fan of Sparta. He was happy to give the Spartans everything they wanted, and worked closely with their new commander, Lysander. Cyrus' aid and Lysander's leadership turned the war decisively in Sparta's favour. In 404 BC Athens surrendered, and had to give up all claim to her "empire". But a Spartan empire soon ran into trouble thanks to the high-handed behaviour of their war-winner Lysander. At about the same time Darius died. WHO WILL SUCCEED DARIUS? BROTHER v BROTHER. After a difficult succession, Darius II continues the policy of Artaxerxes I towards Greece: his other activities are unknown due to lack of source material. Ctesias, a Greek doctor, was the official court physician to Artaxerxes II, son of Darius II. His long Persica, a history of Persia, is usually only referred to when there are no other sources - as here after the death of Artaxerxes I. As previously mentioned, his intention seems to have been to entertain as much as inform - and he loves gossip and scandals. He relishes the story of Sogdianus' death - thrown into the embers (after being previously soaked in alcohol according to another Greek). Parysatis in Ctesias appears as a typical "evil queen" (a successor to Clytemnestra and a forerunner of Lady Macbeth.). In fact we have to rely for most of this story not even on Ctesias himself, but on Photius, who wrote a condensed version of the Persica. From two inscriptions on column bases from Susa in Old Persian and Babylonian languages. The first mention of soldiers who fought for cash, not their country. When mercenary armies became normal in the 4th century, victory often went to whoever could offer the better money. This was a lot of money. (A talent was a measure of weight: 1 talent weighed approximately 26 kilograms. Recently (2013) gold was valued at ?34.00 per GRAM.